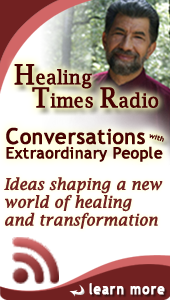 When I entered the field of medicine in the 1960s, my goal was to transform medicine, to develop a new paradigm and a new way to practice the healing arts. My plan was to create an integral approach utilizing the rationality and technology developed by the West blended and balanced by the philosophies of the East and the power of their techniques of mindfulness and meditation. 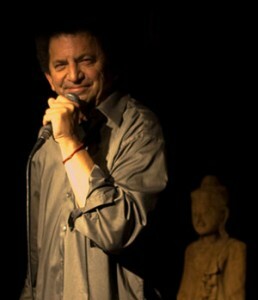 Today’s guest is also an innovator, a Buddhist meditation teacher who brings his wisdom to his audiences through his books and his radio and in person performances. He also makes significant use of humor in getting his message across. Today’s guest is Wes Nisker, For nearly 40 years, Wes “Scoop” Nisker has worked in radio, first as an award winning news anchor and more recently as a commentator. His books include the newly edited version of his national bestseller, Essential Crazy Wisdom and Buddha’s Nature (Random House), and his most recent book Crazy Wisdom Saves the World Again! Mr. Nisker is also the founder and co-editor of the international Buddhist journal “Inquiring Mind.” As a Buddhist meditation teacher, he has studied Buddhist meditation for over three decades with teachers in Asia and America, and for the past 15 years has been leading his own retreats and workshops in Buddhist insight meditation and philosophy at venues internationally. 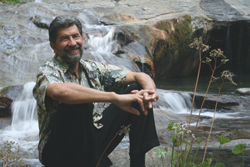 He is an affiliate teacher at the Spirit Rock Meditation Center in Woodacre, California, and does regular workshops at my old stomping grounds, Esalen Institute and other retreat centers. Today we will explore Scoop’s humorous, but wise solution to the God Problem that causes so much strife around the world. 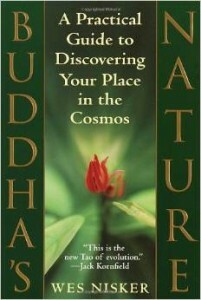 We will explore many of the teachings of the Far East, and how they can heal us and enrich our lives. And finally, for our older listeners, some humorous guidance in “geezing,” which is a skill that older geezers must learn in order to achieve their best. Come, join us – and bring your smile with you! Take a wild ride through the philosophies of the East and West to discover the madmen, dreamers, and unconventional wisdom seekers in the abridged, better-than-ever version of our best-selling cult classic. 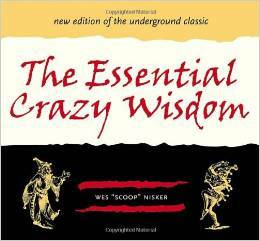 THE ESSENTIAL CRAZY WISDOM delivers the most significant, most lunatic, and most compelling insights of the ages. Scoop Nisker patches together the unorthodox teachings that have bubbled up through the words of such crazy visionaries as Rumi, Gautama the Buddha, Mark Twain, Lao Tzu, etc…. Discover the common thread in these multiple perspectives and travel on this comedic course to enlightenment! The Buddha said that “everything we need to know about life can be found inside this fathom-long body.” Then why is most people’s spirituality–whether Buddhist, Christian, or Jewish–completely cut off from their body? In this provocative and groundbreaking book, you’ll discover that enlightenment comes not from “out there,” but from a deep understanding of our own personal biology. Using the Four Foundations of Mindfulness, a traditional Buddhist meditation, Nisker shows how cutting-edge science is proving the tenets first offered by the Buddha. 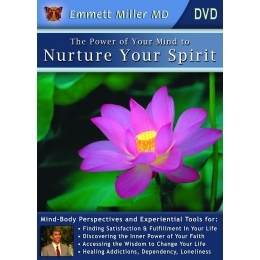 A DVD featuring Dr. Miller and his guidance towards the emergence of our personal sense of spirituality and the power that lies therein. 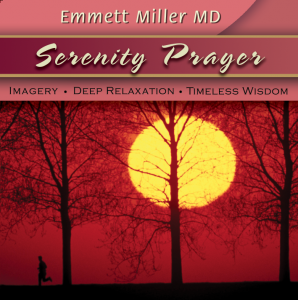 Dr. Miller, in his uniquely soothing and wisely entertaining way, will take you on a journey of discovery: a self-guided exploration of spirituality. Spirituality is the process of separating the superficial from the essential, and as you listen you will find that to discover spirit is to discover the relatedness of all existing things.